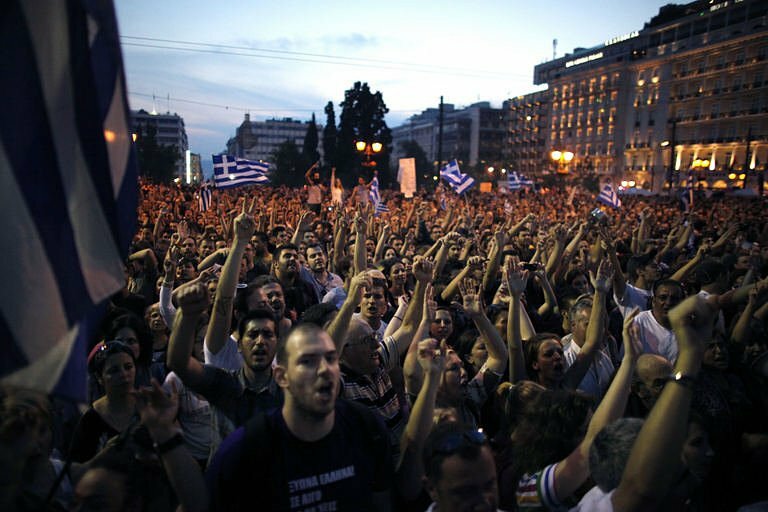 About 20,000 people assembled in the Greek capital’s central Syntagma Square on Sunday, responding to calls on social networking sites for gatherings across Europe to demand “real democracy”. Tens of thousands of mostly liberal protesters again filled Cairo’s Tahrir Square on Friday to call on the military council to end the practice of sending civilians to military trials, to expedite legal action against former President Hosni Mubarak and his associates, and to start governing with some civilian presidential council. Five protesters were arrested by U.S. Park Police at the Jefferson Memorial in Washington DC on Saturday after taking part in a flash mob to protest a recent court decision that upheld a ban on dancing within the memorial. A second protest is being planned for this weekend—and over 2,300 people say they’ll attend. Russian police detained more than 60 activists in Moscow and St. Petersburg on Tuesday at demonstrations against restrictions on freedom of assembly. Several people were arrested for participating in a banned gay-pride event in Moscow on Saturday. Up to 100 protesters blocked the driveway to the Brisbane, Australia hotel where mining bosses from the coal seam gas industry were holding an annual summit yesterday. Several dozen opponents of shale gas marched through Quebec, Canada on Monday to warn of its possible environmental impact. Training sessions on how to organize sit-ins and occupy exploration sites are also being planned. 15,000 people gathered in the Sbata district of Casablanca on Sunday to demand more democratic freedoms, jobs and better social conditions. But security forces intensified their hardline crackdown. Dozens of supporters of hunger-striking retail cleaning workers, joined by U.S. Rep. Keith Ellison, rallied Sunday in south Minneapolis to demand higher wages for supermarket floor cleaners.